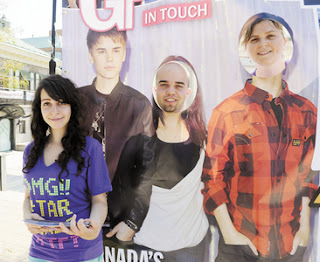 Justin Bieber is coming to a town near you – in cut out form, that is. Greenpeace Canada is using images of the Canadian pop star in cutouts and billboards as a front to raise awareness of the tar sands in Alberta. The Just Beeber tour kicked off in Oakville Tuesday on a five-city tour across southern Ontario to educate people about the tar sands with the group's new tabloid-style magazine, GP in Touch. 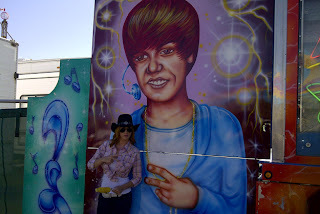 Bieber fever. From left, Greenpeace Canada's Just Beeber tour volunteers, from left, Sandra Sinayuk and Peter de Vries, and volunteer organizer Natalie Caine, as the Tar Sands awareness campaign rolled into the Towne Square in downtown Oakville Tuesday. “A lot of people read tabloid magazines (and) a lot of people are talking about celebrity scandals and love affairs, but really the biggest scandal in Canada right now is the Alberta tar sands,” said Natalie Caine, Greenpeace Canada volunteer organizer. Fans can interact and pose with a life-sized photo of Bieber, and with a billboard sized cutout of their magazine cover featuring other celebrities, and upload them to Facebook and Twitter in an effort to try and persuade Bieber to be a spokesperson for the campaign, said Caine. “What would be great is if we had more celebrities signing on through the campaign, endorsing it and helping spread awareness and education about Canada’s poor record when it comes to reducing our climate change greenhouse gases,” said Caine. Caine said people have been contacting Bieber through social media, e-mails and messages on his website, but doesn’t know if the singer has received them. “We’re trying to get in talks with him and we would love it if he would endorse the campaign, but that’s not the goal or objective of the campaign, the message of this tour is to really get people thinking about what’s going on in Alberta and the impact of the tar sands,” said Caine. The photos will be added to a gallery that will be shared with participants who will be asked to post their photos on their social networks via Facebook and Twitter, she added. “Getting people to interact with our campaign that way (will) educate the public about what’s really going on in Alberta and the energy policies that Canada is adopting and how they are shameful practices as we are facing global climate change,” said Caine. Caine said the tar sands is the number one reason why Canada isn’t able to reach its Kyoto protocol agreements, and emits more greenhouse gas emissions just in production than all cars in Canada. “When you have real and clean green energy solutions, like renewable energies, it doesn’t make any sense to subsidize an industry that makes billions of dollars a year with our government money when we could be using that money to subsidize a cleaner and greener future,” said Caine. Justin Bieber attracting new celebrity divas - should Selena worry? Justin Bieber is attracting older ladies these days as a new picture of Rhianna surfaces with the diva pressed up against Bieber and planting a big long kiss on his lips, or paper lips. Rhianna is kissing a giant picture of the teen heart throb that was blown up in size from the Rolling Stone Magazine cover, as seen on Justin Bieber Zone. This infatuation with the singing teen seems to be spreading among the celebrity divas. Katy Perry stood with a life-size cut-out of Justin Bieber not to long ago, calling him “her adopted son.” While Rhianna and Katy are by no means old, they are much older than the teen crooner they seem to be gravitating to. Justin’s fans cannot forget Kim Kardashian’s crush on their heart -throb that spawned tons of threats towards the reality show star. Is Justin the new “boy-toy” icon among the celebrity divas, who seem to find him appealing? This is evident with Rhianna’s recent picture, which comes along with no explanation as to why she felt compiled to slither up next to Bieber’s picture and give it a kiss? Could all this attention be working on Selena Gomez, Bieber’s main girl? After all the glitz and glamour is stripped away, Selena is still a teen who has the same feelings as other teenagers, which would include jealousy. Justin Bieber to propose Selena Gomez on her birthday? Is Justin Bieber planning to propose to Selena Gomez on her 19th birthday? The young couple of Hollywood has been dating for long time and their relation is at the center of much romance, but marriage seems to be so far away for these young teen couple. There has been a strong wind blowing that Justin Bieber is planning to propose on Disney star on her 19th birthday, which is on 22 July. Selena Gomez said that she doesn’t have any great plans for her birthday as her boy friend Justin Bieber might not even be there. But guess there must be huge surprise waiting for Selena Gomez. Selena Gomez is not doing anything special on her 19th birthday on July 22. Justin Bieber wants to make her birthday very special by asking Selena to marry him. Selena has explained her birthday plans as she will be getting a day off from the office which is exciting because she have been working on rehearsals all day. She probably will have fun with her friends. The Monte Carlo beauty Selena Gomez has an idea to spend her birthday with her boyfriend Justin Bieber at Atlanta. Justin was currently in LA and on her birthday he might be at Atlanta. Justin Bieber and Selena Gomez is a great couple and cute, and seemingly have tons of fun together. However, neither one of them are ready for marriage at this time as they were just teenagers. They are much too busy with their careers. Will Justin Bieber propose to her girlfriend Selena Gomez on birthday, we have to wait and see what happens? Stay tuned with us for latest happening between the teen couple of Justin Bieber and Selena Gomez! WIN! Take Justin Bieber home with you! ...and stick him in yer telly. To celebrate the release of Justin Bieber: Never Say Never we're teaming up with Paramount Home Entertainment to give ten lucky winners the chance to take ACTUAL Justin Bieber home by winning a copy of Never Say Never on DVD! Justin Bieber: Never Say Never follows Bieber’s journey from his early years to his rise from break-out internet sensation to global superstar, culminating in a sold-out show at Madison Square Garden. 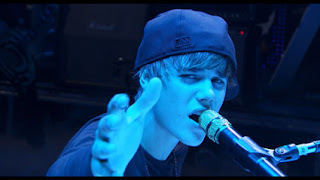 Incorporating personal home footage that chronicles Bieber’s talent from early childhood, the film also features celebs including Usher and Miley Cyrus. Paramount have two pairs of tickets to give away for a special ‘meet and greet’ with the teen sensation through an online prize draw – details available in Justin Bieber: Never Say Never Blu-ray Triple play or DVD packs. The winners will travel to the USA and have a once in a lifetime opportunity to meet the teen heart-throb – a money can’t buy prize for devoted fans! Also for all you Beliebers out there, if you want to get your hands on a copy of Justin Bieber: Never Say Never before anyone else, head down to HMV, Oxford Street on Sunday 24 July from 10am as the DVD goes on sale 24 hours before any other store! There will be a video message from Justin Bieber himself as well as Bieber karaoke and the chance to win exclusive signed merchandise! All fans will also receive a Justin Bieber wristband and button on arrival! Easy! The comp will close on August 4th. You need to be logged in to enter the competition. Details of Justin Bieber's upcoming album are starting to emerge, with the teen star set to work with Chris Brown, Kanye West and Drake on some of his new tracks! Justin is currently hard at work on the follow up to his smash hit album 'My World 2.0', which is guaranteed to be a massive success around the world. He previously worked with Chris Brown on the songs 'Next 2 You' and 'Up', while Kanye remixed Justin's track 'Runaway Love' for his remix album. Plus there have been rumours for a while that Canadians Drake and Justin want to collaborate. Singer/songwriter Kevin Cossom reveals Justin's new tracks have "a more edgy vibe", while his manager Scooter Braun spoke to Rap-up.com about Kanye's involvement. "Him (Bieber) and Kanye had a call today about a song they're trying to work on together. Kanye wants to produce a bunch of songs for the new album." Justin tweeted this week, "studio #NEWMUSIC". Are you looking forward to Justin's new album? Congratulations to Justin Bieber! 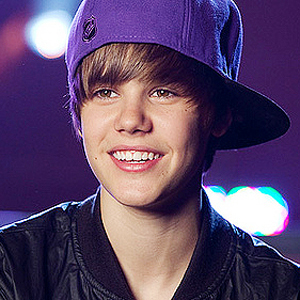 Justin has been nominated for Best Male Video - "U Smile" at this year's MTV Video Music Awards. Be sure to cast your vote here and find out August 28th at 9/8c who takes the moon man home! A clever new scam is putting Justin Bieber's legions of Twitter followers in danger of losing cash — and a little bit of pride. Spotted by researchers at the security firm Sophos, the cybercrime ploy targets Bieber's more than 11 million Twitter followers with a message alleging that Bieber will follow your tweets on the social media site, provided you follow the scammers' instructions. 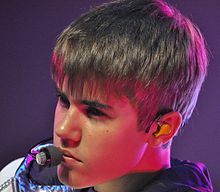 Cybercriminals have repeatedly manipulated Bieber's name and popularity in the past; one such scam even claimed to have exclusive video of the tween pop star hitting a girl. This particular hoax hits a little harder, however, in that it's rigged to make Bieber's fans actually believe the star wants to shine the spotlight on them instead of the other way around. The scam message comes with a link that, when clicked, takes users to an IQ test. All you have to do to get Bieber to follow you on Twitter is complete the test and enter your new score into the password box. Of course it's never this easy — or safe. 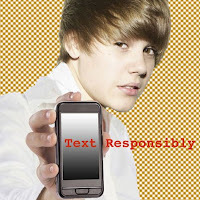 After finishing the IQ test, the scam then lures eager Bieber fans into handing over their cellphone numbers, which then automatically signs them up for a premium-rate text messaging service. If you come across this message, or any suspicious offers on Twitter or Facebook, ignore it. And never fill out any surveys; they almost always lead to trouble. It isn’t splashed across the top of his website, weknowthedj.com, but Tay James knows Justin Bieber. Three months after he graduated from Hampton University in 2009, James signed on to become Bieber’s DJ, joining the pop wunderkind on his surreal two-year ascent to superstardom. Was Justin Bieber And Selena Gomez’s Wedding Crashing Stunt Staged? Justin Bieber and Selena Gomez were walking on the beach when they heard one of Justin’s songs and followed where it led…to a wedding, which they then proceeded to crash! But was it all planned ahead of time? Even fishier than the fact that superstars Justin Bieber and Selena Gomez happened to run into a wedding party playing Justin’s own song (One Less Lonely Girl) while strolling on the beach, is the fact that one of the members of the wedding party is Justin’s number one fan, whom he met on the Ellen DeGeneres Show back in February! What are the odds??? Paige Conway, 15, was picked among thousands to appear on Ellen DeGeneres as Justin’s number one fan, and she also happened to be the bride’s cousin! According to sources at the wedding, Justin walked right up to Paige and tapped her on the shoulder as she was singing his song and she was absolutely shocked! Is it possible that this is just a giant coincidence? Or was this wedding crashing a staged event? HollywoodLife.com spoke to the groom, Rob McCool, who assured us that this was not planned and that he was completely shocked! Guests report that girlfriend Selena Gomez mostly stood quietly on the sidelines while her boyfriend signed autographs, danced, and took pictures for ten minutes. She’s so sweet to let Justin’s fans have him to themselves for a bit! Justin and Selena didn’t stay for wedding cake. Rob said it really made his day to have Justin and Selena come to his wedding, and now he and his wife are planning a honeymoon to Australia, although can it really live up to their all-star wedding festivities? Be the first in America to experience Spotify! Spotify is currently available in the U.S. by invitation only, but Justin Bieber asked us to set aside some of the very first invites for his friends. Enter your email address in the box here, to get an invite. Spotify has arrived. The award-winning digital music service is now available in the U.S. Spotify gives you on-demand access to over 15 million tracks- on your computer, your cell phone and a whole heap of other devices. Spotify makes it easier than ever to discover new music and share it with friends. Enjoy. While Katy Perry, Adele, and Kanye West dominated the 2011 MTV Video Music Awards when it came to nominations, there were also plenty of big names who received some love in a few assorted categories. First, let's start with one of the big stunners -- MTV only handing out three nominations for the awards despite having one of the most-hyped albums of the year in "Born This Way." In addition to that, Gaga also had a video in "Judas" that was one of the most expensive on record -- but most of the love went instead to the video for the title track. The one thing that neith Bieber nor Gaga have done yet is speak out public about their nominations -- but we figure that will come eventually. 'With the time off, I'm able to think, pray and just kind of grow up,' Bieber says. Despite being spotted hitting the studio earlier this week with Chris Brown, Justin Bieber just revealed that he has plans to take some time off this summer. After spending the last few years touring, recording and being beyond famous, he plans to spend the summer much like any other 17-year-old. "I've been working so hard, I'm taking a month off," he told The Hollywood Reporter. "It's been great to just think and enjoy hanging out with my friends. I'm still growing up, and when you're working every day, you don't really get a chance to figure out who you are. So with the time off, I'm able to think, pray and just kind of grow up." That growing-up time has included some karaoke sessions with his lady love, Selena Gomez, and crashing weddings with her as well. He also explained that he's doing something equally normal: staying in bed. "For sure [I'll be resting]," he said. "I've been sleeping in a lot." Earlier this summer, he told MTV News that his favorite thing to do when he does get some time off is grill. Bieber is an avid BBQ pit master. "Favorite thing to do in the summer?" he pondered for a moment. "Have barbecues." "I can barbecue. I mean, I don't make the sauce very well, but I can grill," he explained enthusiastically. "No, [I can't cook]. I can just grill and stuff." Once he does wrap up that well-deserved time off, his work on his forthcoming album continues. It's a project that's been long-simmering for the teen superstar. "[I'm] writing about how I feel and producing. I've been producing on my laptop and on my computer," he said. "I've been really into it and, hopefully, this next album will be huge." "I've done a lot on my acoustic guitar, so it's gonna have that vibe," he continued. "I'm not gonna really limit myself. I think music is music, and genre — I mean, I know there's country music, there's rock music, but my music is different. My voice is not meant for any style. I just want to make music." First loves are typically shrouded with intensity and urgency, and Justin Bieber proves he is no exception to the rules as he can barely last a day without his girlfriend. The singer took time out of his busy schedule to visit Selena Gomez in Los Angeles on her latest film set. As the Wizards of Waverly Place actress waited for her boyfriend to arrive during a break, she impatiently played on her mobile while hovering around in the catering tent. Selena, 18, was dressed in fitted jeans and a casual white and turquoise striped vest top. She jazzed up the outfit with a chunky bracelet and a large pair of gold leaf earrings, as usual she looked effortlessly pretty even with her hair scraped back in a messy ponytail. 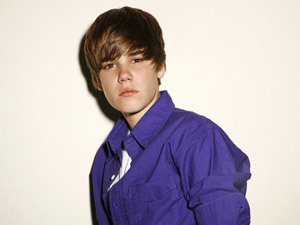 Justin, 17, also opted for a laid back wardrobe choice with black trousers and a white T-shirt. He did however pimp his style with a pair of shades and a diamond stud in his ear, likely to have cost what most people earn in a year. Other than catching up on gossip since their last meeting, the couple celebrated Selena's three nominations at the Teen Choice Awards. Yesterday it was announced she is in the running for the Choice Summer Movie Star: Female, Choice Summer Music Star: Female and new film Monte Carlo received a nod for Choice Summer Movie. While rumours had been rife for a while, it was not until March of this year that Selena and Justin confirmed their relationship. The MTV VMA 2011 nominees are in as of Wednesday evening, with singer Katy Perry getting an artist-high nine nominations. Adele and Kanye West, MTV's favorite awards show guest, each tallied seven nominations. Other musicians on the MTV nominations list are Justin Bieber, Chris Brown, and Rihanna in various categories. The MTV VMA 2011 nominees were announced on MTV's live show following the reality show "The Challenge: Rivals." MTV VJ and reporter, Sway, was with Katy Perry who seemed shocked at having so many nominations. He talked shop with her about the other videos up for the Video of the Year award, including Tyler the Creator's "Yonkers" in which he eats a cockroach on screen. Also in that famous category are Adele's "Rolling in the Deep," the Beastie Boys' "Make Some Noise," and Bruno Mars' "Grenade." They'll all be competing with Katy Perry's "Firework" video. Justin Bieber finds himself nominated in the Best Male video category for "U Smile," where he'll compete against Cee Lo Green, Eminem, Bruno Mars and Kanye West. Rihanna is a nominee due to her impressive guest appearances on Eminem's "Love the Way You Lie" and Kanye's "All of The Lights," which also features Kid Cudi. Singer Chris Brown, who won several awards at BET's recent awards show, is nominated for Best Collaboration and Best Hip Hop Video for "Look at Me Now" which features Lil Wayne and Busta Rhymes. As is the usual argument with the MTV VMA Awards show, is the fact that MTV used to stand for "Music TV" but rarely plays music videos anymore. They still like to hold their annual show once a year to recognize the achievements of musicians, most likely to get advertising money, and keep up their positive relations with the artists. Surprisingly, MTV has yet to hold a "Reality TV Awards" but loves putting new reality show after new reality show on the air in place of videos. Should the MTV Video Music Awards continue to be presented even though MTV rarely shows music videos? Who will be the big winner on August 28th, 2011? Justin Bieber is eager to master bass guitar as he thinks it would be 'cool'. The 17-year-old R&B sensation is a gifted instrumentalist, and already plays the piano, drums, guitar, and trumpet. Justin doesn't always get the chance to show off his music-playing skills though, as many of his tracks require him to concentrate on his silky vocals and fast-paced dance routines, and this is something he does worry about. 'People think I am a product and sort of a money machine, but it's not true. I am an artist. I've been with music all my life,' he told the British edition of OK! magazine. Justin also discussed the pitfalls of being successful at such a young age. The star is adamant he will make errors along his pop journey, but feels confident his loved ones will always be on hand to offer support. 'Of course, I am going to make mistakes. I am just a normal guy, but I think I have a good head on my shoulders. I've got my family around to keep me humble,' he smiled. Justin Bieber is thinking about going to college. The 17-year-old singer doesn't attend high school like boys his age because of his pop career, but he insists he has done well with his tutor on tour and still believes there is a chance he could enter higher education. Although he has ambitions to go to college, Justin - who is dating 19-year-old singer-and-actress Selena Gomez - insists music is his passion in life. Despite his phenomenal global success, the 'Baby' hitmaker has been learning to play new instruments to improve as an artist. Justin - who taught himself to play piano, drums, guitar and trumpet when he was growing up - revealed: 'People think I am a product and sort of a money machine, but it's not true. I am an artist. I've been playing all sorts of instruments. It'd be cool to play bass one day. The Canadian singer doesn't worry about going off the rails like other teen stars have done, because he has a 'good head on his shoulders' and his mother Pattie is always on hand to give him advice. He said: 'I am going to make mistakes. I am just a normal guy, but I think I have a good head on my shoulders. I've got my family around to keep me humble. I don't need people feeding my ego and saying how wonderful I am. I just need to be true to myself. The teen phenom who's moved countless fans with his story, music and charity work draws his own motivation from Michael Jackson, R. Kelly and more. Anyone who’s seen Justin Bieber’s hit movie Never Say Never knows that it is all about inspiration -- his story has motivated millions of fans to reach for their dreams, and his music inspired those same loyalists' parents to hop to their feet. Throw in his charity work with Pencils of Promise and the Make-A-Wish Foundation, both receiving portions of the profits from sales of his Someday fragrance, and you couldn’t ask for a better meeting of hearts, minds and tunes. So what motivates this great giver? We asked Bieber, who hit the studio with Chris Brown on Monday, to list five songs he finds inspiring, including a couple of his own. 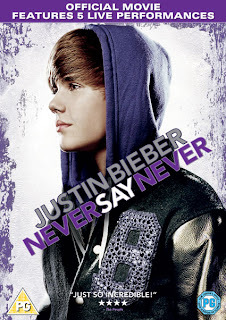 “This song is kind of like Never Say Ever, where anything is possible, and you just have to believe. It’s definitely uplifting." “My mom has been listening to Boyz II Men ever since I was little. It was always on in the house. Now, this song is in my iTunes." "When you’re working every day, you don’t really get a chance to figure out who you are," says the 17-year-old, who's breaking yet another record with the launch of his fragrance, "Someday." Justin Bieber has seen more than his share of firsts in the last couple of years: he was the first artist to hit half a billion views on YouTube, the first -- and youngest -- performer to chart seven singles on the Billboard Hot 100, all from a debut album, and, most recently, the first male celebrity (who’s not a fashion designer) to release a woman’s perfume. And like all things Bieber, Someday is on track to be the biggest fragrance launch ever, with sales topping $30 million, and a portion of the proceeds earmarked for two charities of Bieber’s choosing -- Pencils of Promise, founded by Adam Braun (brother of Bieber’s manager Scooter Braun) and the Make-A-Wish Foundation. “I didn’t know what to expect,” Bieber tells The Hollywood Reporter. “I thought it would be successful because it’s a good smell, no matter what, but to be the number one fragrance? That’s amazing.” Indeed, according to Give Back Brands, which manufactured the scent, some of its partner retailers, which include Macy’s, Sephora and Lord & Taylor, are struggling to keep Someday in stock. The team considered holding the launch in Times Square, but Hollander says they opted for a more intimate event “so that people could really get a chance to see Justin.” Still, Hollander assures, "There was an enormous amount of security." Justin Bieber is getting "edgy" on his next album. The teen dream will be recording new collaborations with R&B singer Chris Brown as well as hip-hop star Kanye West, on the follow-up to My World 2.0. The Biebster was spotted entering the studio with Chris this week, but it's not the first time they've worked together - the pair recently teamed-up on Brown's Next 2 You single. Speaking of Justin's new songs, singer-songwriter Kevin Cossom said the tracks have "a more edgy vibe" compared to his previous hits. His manager Scooter Braun also confirmed he'll be working with Kanye, telling Rap-up: "Him and Kanye had a call today about a song they're trying to work on together. "Kanye wants to produce a bunch of songs for the new album." Are you excited to hear Justin's collaborations with Kanye and Chris? Leave a comment and let us know! Selena Gomez finding love hard with Justin Bieber? Selena Gomez finds love hard, but beautiful. In her latest interview, she talks more about adult subjects than she ever has before. It is no secret that when Selena mentions love, she is talking about Justin Bieber, her boyfriend of the last six months. But along with this relationship, she also has a love-hate relationship with Bieber's fans. As Selena enters the last year of her teens, a visible change in the "Wizards of Waverly Place" star has taken place. Selena looks older and is carrying herself in a more mature way than her fans have seen in the past. Her relationship with Justin Bieber is a solid one and she says that love is both hard and wonderful at the same time. "You should enjoy it and make sure the person betters you," says the enthusiastic actress-singer. Another bit of advice that Selena passes along to her fans about love is to have fun with it but to be ready for anything. Selena is dating Justin Bieber, who is known for his surprise antics, which would explain that tip of love for her fans. The one constant problem about being in love with one of the world's most adored teen heartthrobs is the anomosity coming from some of his fans. Selena won't deny that the sting from these haters still hurts. This causes a love-hate relationship with the Internet for Selena, according to Pop Crush. How nice if on Friday, which is Selena's actual birthday, if the haters finally give up their verbal attacks on Justin Bieber's main girl. This will act like a gift for Justin as well, as he often feels guilty that some of his fans continue to do this to someone he cares so much about. Selena is surprisingly mature beyond her years when she talks about love. Justin's girl is not talking about butterflies in her stomach or seeing cupid flying by. She talks about the work along with the give and take it entails from a couple. Justin Bieber has collected so many awards, set and or broken so many records, and achieved so many firsts. But that doesn't mean there isn't room for one more. On July 20 at approximately 3:00 A.M., he acquired yet another. The Biebs has reached 10,000 Tweets. Yes, it seems that Justin Bieber is not only the Prince of Pop, he's also the prince of Twitter. Not only can he boast more Twitter followers than any other celebrity except Lady Gaga, he can now boast that he's sent 10,000 Tweets. Well, more than 10,000 actually, because as soon as JB learned that he'd reached the 10,000 mark, he immediately took to his Twitter page to inform his fans and to express his appreciation for their continuing love and devotion. 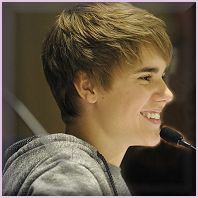 "10,000 tweets," wrote Justin, "10,000 times to connect directly with my fans. 10,000 times to let them know how much I appreciate them. Earlier this year, during his My World Tour, Justin Bieber announced that he would take a break from Twitter to spend more time with his family. 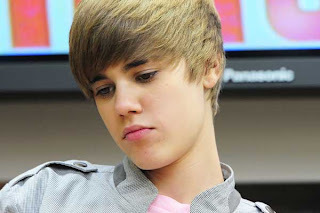 That announcement caused a panic throughout belieberdom, and he was back on the social network site in a couple of days. Guess he couldn't bear to be out of touch with his fans any more than they could stand being out of touch with him. Selena Gomez and Justin Bieber continue to show the world how adorable they are together. The dynamic duo was recently taped singing “Picture” the 2001 duet originally performed by Kid Rock and Sheryl Crow. The teens flirted and kissed during their karaoke number in Los Angeles a few nights ago, laughing when they sang the wrong words. Of course the singing sensations were just in grade school when the song came out, so they did pretty well. Justin and Selena are young and to many it may seem as though the teens are merely infatuated with one another. However, they have a lot in common and appear very much in love. The young couple is together often and they are now appearing at public events in each other’s company despite their publicists warning to avoid being photographed. The supposed reason behind this advice is to avoid added relationship pressure. The teen love birds are supporting each other, just like any normal couple in love would. Selena Gomez decided to come to the ESPY Awards as Justin’s date. Also, several weeks ago Bieber arrived unannounced at the MTV and MuchMusic Awards just because Selena was going to be there. Clearly he wanted to spend time with his sweetheart. Recently, the pair crashed a Malibu wedding, surprising the bride and groom with an impromptu appearance. The celebrity couple was walking down the beach when they heard Bieber’s hit song “One Less Lonely Girl” from the reception, so they knew they’d be welcome. The delighted guests came away with a few pictures of the pop stars. Gomez will be launching her own fragrance with Adrenalina, which is a brand known in the extreme sporting industry. The company has decided to expand their product line and has brought Selena on board to help them. Having said that she has 'pretty boring' plans for her upcoming birthday, the 'Monte Carlo' actress reveals that her singer boyfriend will be in Atlanta on the day she turns 19. Selena Gomez won't have boyfriend Justin Bieber by her side when she turns 19 this Friday, July 22. The "Who Says" songstress made the revelation when asked by E! News about what she has planned for the big day while promoting her charity benefit auction for the Alabama tornado recovery efforts. The "Monte Carlo" actress first dished on her low key birthday, "I think my mom has planned something for me. I didn't really ask for anything, so I'm basically just going to be at tour rehearsal during the day. Maybe go to dinner at night with my family. Pretty boring." Quizzed if boyfriend will be in attendance, she said, "I actually think he'll be in Atlanta. But that's OK. We all gotta work." During the chat, Gomez also confirmed that she is working on her own signature scent. "I've been working on my fragrance for almost a year now," she gushed. "I'm excited, [because] it's something I'm interested in... I'm already doing the whole process of smelling things and designing it and the campaign and everything, so it'll be fun." Last year, Gomez celebrated her 18th birthday with a big BBQ bash. Her mother, Mandy, revealed that "250 of her closest friends and family are coming over to our place in L.A." for the bash, adding "It's going to be so much fun." She went on to gush, "We're ordering the BBQ meats but I'm cooking the cheese potatoes." 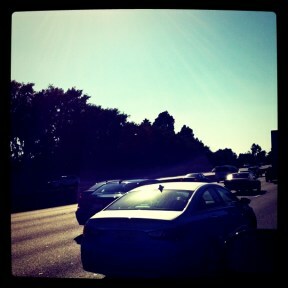 Justin says on his twitter, and in this video, why you don't text and drive. Justin Bieber: College Plans Ahead? It seems as though teen superstar Justin Bieber is thinking about trying out the college experience in the future. Can the blond-haired heartthrob actually have a normal college life? Bieber isn't considering college as a plan for now, but says he would consider it if it fit in with his number one passion: music. "If it's compatible with my career I could have a shot at it, but at the moment it's not something I am focusing on. I travel with a tutor at all times, but I am not so into school. There are some subjects I really don't care for, such as maths." That can probably be said for a lot of people! Math just isn't a subject you find many kids raving about! Though Justin Bieber may want to go to college in the future, he doesn't seem to be straying from his current position as the world's most sought-after 17-year-old singer. He does admit, however, that he is "just a normal guy" and makes mistakes like everyone else. Who would have guessed? "I am going to make mistakes. I am just a normal guy, but I think I have a good head on my shoulders. I've got my family around to keep me humble. I don't need people feeding my ego and saying how wonderful I am. I just need to be true to myself. My mom grounds me. She's very strict. I am very fortunate to have her with me at all times. Although now I'm getting older it's hard for her to let go!" Bieber said. Do you think Justin Bieber should give up singing to go to college? Or is college something he can do at any point in his life? "As a 17-year-old driver, I am aware of the countless distractions that we teenagers face on the road, and texting is one that is preventable. There are too many young people, like Alex Brown, whom we've lost because of texting while driving, and it is my hope that, through this partnership with PhoneGuard, we will raise awareness of this issue and create safer conditions for everyone on the road." "PhoneGuard's revolutionary Drive Safe™ anti-texting while driving software application suite disables the texting, e-mailing, and keyboard functions of a mobile phone in a vehicle that is in motion." Clearly, Bieber believes that education has failed, and America's teenagers are so reckless and untrainable that we have to gag them in the name of safety. A better headline: "Bieber silences youth with anti-expression shackles!" I may not agree with the practice of texting while driving, but I'd die for every American's constitutional right to do it. Probably soon. Oddly, PhoneGuard CEO Scott Frohman seems to imply that Bieber helped design the software: "Justin has played a key role in developing the program and his extraordinary reach will make him instrumental in promoting it," says Frohman. Did Bieber do a little coding on the back end? I e-mailed the people at PhoneGuard asking them to clarify that statement, but they wisely ignored me. Exclusive! Justin Bieber Crashes Malibu Wedding!